Dreaming about a trip to The Golden Land? 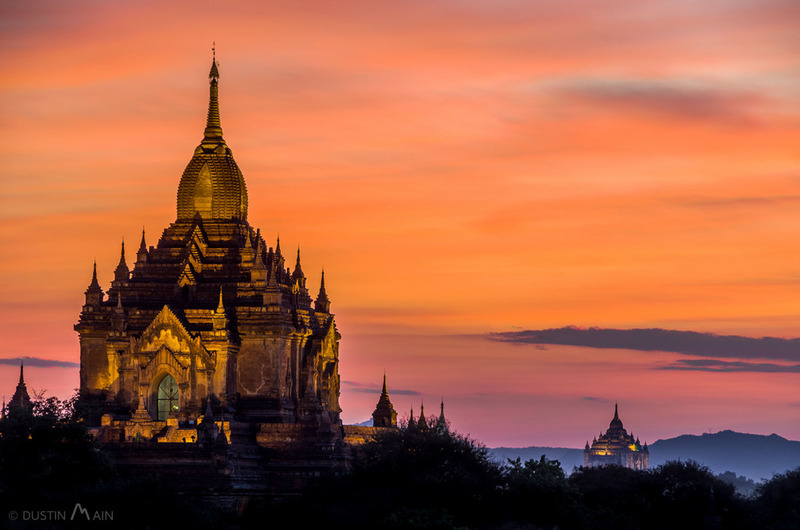 After 15 trips to Myanmar since 2011 while working on the documentary project "This Myanmar Life," adventurer and photographer Dustin Main will be leading an exclusive 13 day / 12 night small group "un-tour" to Myanmar in Oct / Nov 2016. There is a famous quote from Rudyard Kipling about the country from 1898. "This is Burma and it is unlike any land you know about." And somehow, more than 100 years later, it's as true today as it has ever been. For the past 5 years, I've made more than a dozen trips to Myanmar, often bringing my family or friends along to share this magical place I keep coming back to, over and over again. A place with warm people, amazing views, and a million little stories just waiting to be heard... and told. It's a place with a complicated history, and an optimistic future. A place of such rapid change that it will be different if you wait another year to experience it. In these years, I've been witness to many changes in the country, changes I've been documenting as part of my project "This Myanmar Life." One of the things that has brought this about is a change in politics. A military government kept the country shrouded from much of the rest of the world for decades until just recently with the election of Nobel Peace Prize winner Aung San Su Kyi's NLD (National League of Democracy) party. Soon, they will be welcoming the world to this rarely-visited land. We are at a very unique time in the history of Myanmar, and now is the time to see it for yourself. Sunrise in Bagan. As far as I know, this is the picture they show in the dictionary under "magical." Thousands of ancient temples dotting the landscape as far as the eye can see as the sun peeks up over the horizon. Quietly paddling through floating villages and vegetable farms on shallow Inle Lake. 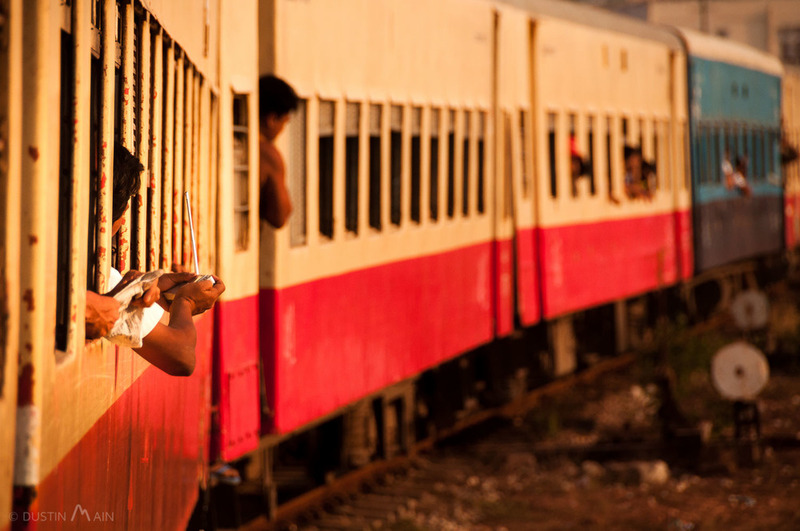 Watching Yangon come to life on the local train around this bustling city. Witnessing one of the most spectacular festivals I've ever seen. That's a small taste of what you're in for. This isn't your typical tour. We won't be crowding onto a bus after being provided 18 1/2 minutes to peruse an ancient temple and take a photo for proof you were there, just to be shuffled to another one, and another. Instead, we'll be mating the best of a small group tour (we have a maximum of 8), with the spirit and excitement of independent travel. We'll be wrapping ourselves in the culture, with guides and contacts who will take us to those secret places unknown to most tourists and groups. If an amazing opportunity comes up, we'll have the freedom to take it and we won't be rushed because we're not following a checklist. Instead you'll be able to really get a feel for country both with our guidance, and with the time and freedom to go exploring on your own. In October, join my local team of guides and I as we take you on an unforgettable journey to The Golden Land. Welcome to your view of Inle Lake. While you won't have to attend classes at a floating school on Inle Lake, you can be sure that you will take home much wisdom from Myanmar. The massive Dhammayangyi temple. They say it's haunted. No way to know unless you see it for yourself. Why Take a Tour With Me? Traveling independently in Myanmar can be great if you have the time and the patience, but decoding the beautiful puzzle of this country takes time... time that most just don't have to unlock the secrets. Years... that's the time I've put in to get under the skin of this place to find out just how it ticks. I want you to experience the Myanmar that I know and love. The one where we don't just watch from afar, but we learn and participate (if you like) to deepen your understanding of this place. We'll do that by picking up a bit of the local language, and maybe throwing on a traditional longyi to wear around town while we wander (seriously comfortable). The tour is purposefully small, with a maximum of 8 people. In addition to myself, we'll have my team of Myanmar guides and contacts at our disposal. Yes, 2-3 guides for 8 people means that questions get answered, and we can split off in smaller groups instead of crowding around like most tours. I've been photographing around the world for the past 7 years, and the past 5 in Myanmar. My work in Myanmar has been displayed in print and licensed around the world. I know the great spots (I'm literally writing a book on it), so don't forget your camera. This isn't a photo tour, but photographer or not, I'm confident that you'll come home with the best photos from a trip you have ever had. Local, local, local. We'll be staying in nice accommodation that is locally owned by families, and not the government. We'll be eating in local restaurants that make fresh, delicious food. And we'll be meeting the local people, so when you leave the country, you won't have just "seen" but you will understand. Travel in Myanmar can be exhausting, and I'm a big fan of spending more time in less places. So instead of trying to hitting every city or town, we'll be spending more time in a few spectacular places instead. This will allow us to go deeper into each location, instead of spending all of our time sitting in a bus or a plane going place to place. The fog begins to clear above Ywama village on Inle Lake. We'll start our journey in the former capitol of Yangon, formerly known as Rangoon. Here will dive into the heart of the city by taking the Circle Train around, watching the neighborhoods slowly pass by, and the locals jump on to go about their day. In the afternoon, we'll visit Shwedagon Pagoda, one of the most famous sites in Myanmar. As the sun begins to fall, we'll head out to the docks on the Yangon river to watch the sun drop below the horizon. 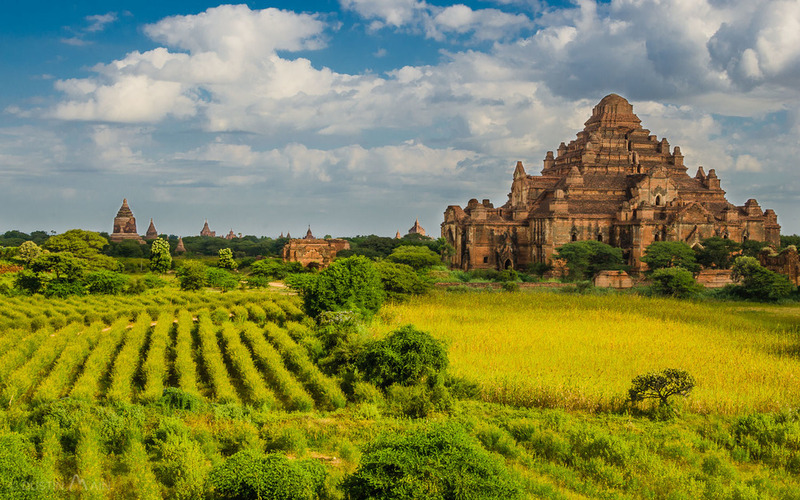 On November 1st, we'll head north by bus to Nyaung U, our base for exploring the plains of Bagan. Our base for exploring the temples of Bagan will be the bustling village of Nyaung U. We'll take advantage of an excellent opportunity to visit this extraordinary place before the crowds arrive when Bagan becomes a World Heritage Site in the next couple of years. Together we'll watch the sun come up from atop a 1000 year old temple, discovering paintings preserved on walls for centuries, and discover the plains by e-bike (which could be the most fun you have all year). Oh, and you can bet we'll be eating plenty of my favorite Myanmar dessert Ma Gi Bi Lay (Tamarind Flakes) that are extra special in the region. On November 5th, we'll head east overland by bus to Shan State and Kalaw. Nestled in the cool Shan hills, the hill station of Kalaw will be a nice change of pace after our time in Bagan. We'll check out the local market, take a wander in the nearby hills, and get our first taste of Shan cuisine. On November 7th, we'll take the train through the hills of Shan State enroute to Nyaungshwe. After taking in the history of Bagan, we'll move to the natural beauty of Inle Lake. This shallow lake is home to dozens of villages along its shores and on its waters, and more than a handful of different ethnic peoples for whom the lake provides. With mountains on either side to frame our journey, we'll experience the lake in a multitude of ways; from the special 5-day market which moves everyday from village to village, to a canoe ride with the famed Intha people who paddle standing on one leg (you have to see it to believe it). We'll partake in farm-fresh eats and delicious local meals. Yum. We'll also take in Tazaungdaing (Fire Balloon Festival) in nearby Taunggyi marking the end of the rainy season. This one-of-a-kind event one you won't want to miss. On November 10th, we'll fly back to Yangon. Arriving back to Yangon later in the afternoon, we'll head out for a final dinner together and reminisce about the good times and memories from the past 2 weeks, while seeing who bought the most tamarind flakes and longyi to take home. You'll have the day to do what you like, be it last-minute shopping at the famous Bogyoke Market, enjoying a wander around Inya Lake, or hitting up the teashop one last time for a sweet "laphet yeh" (sweet tea). We'll help organize a ride to the airport for you once we've all exchanged e-mails and hugs. Thank you! We'll let you know of our future tour dates. Tazaungdaing and the Fire Balloon Festival. Be one of the few to witness this amazing event. You'll see the sign "Warmly Welcome and Take Care of Tourists" just like I did the first time I traveled to Myanmar. At the time, I thought it was hilarious. But now I know it's true! There are few places in the world I feel more comfortable walking around at night with my camera at my side than this country. The citizens of Myanmar are wonderful people who you'll find are are keen to share an afternoon tea and chat with you on the streets. Tourists are treated with respect by the citizens and the authorities. When it comes to the local customs, we'll assist you all the way. Essentially, it means that we have covered shoulders and knees, particularly when visiting religious sites. No biggie. One thing that hasn't caught on in Myanmar is bike helmets, and we will be doing some travel on e-bikes. Is this an adventure tour, or a photography tour? I am all about adventure, and this trip will be one to remember. Everyday will be exciting, but there won't be any mountains to climb or cliffs to jump off of. This is adventure that everyone can take part in. I took my wonderful mother on a trip very similar to this for her 60th birthday, and it was no problem. Everyday we'll do some walking (but nothing crazy), riding e-bikes, maybe a horse cart or two. It's adventure for everyone. Also while I am a photographer, this isn't a photo tour where all we do is go and take photos. There will be plenty of opportunities to capture the magic of this country in photos, but if you're looking for a straight-up "photography tour," this isn't it. This is my Mom (wearing a traditional Myanmar longyi) on what has been dubbed "The Trip of a Lifetime" to Myanmar when I took her on the trial tour. She thinks you should go. For most western countries, you can now apply right online, and in ~48 hours you'll be set. Just print that sheet of paper and bring it with you when you travel, and present it on arrival in Yangon. It's simple. I'm travelling solo. Do I need to pay extra? What if I’m travelling solo and I would like my own room? No problem! If you're solo and you'd prefer your own private space to wind down at the end of the day, don't sweat it. For a single-supplement charge of $290USD we'll get you your own room. Just let me know and we'll make it happen. Ruins at Indein, Myanmar. Check and Check. Indiana Jones hat not included. Speaking of rooms, where are we staying? We'll be skipping out on the shady government-owned accommodation to stay in family / privately owned hotels and guesthouses. These are all places I've stayed at many times in the past and are well taken care of, and run and staffed by wonderful people. That said, this is Myanmar, where power outages are still common, and that might mean your iPad doesn't get to charge fully everyday. About those iPads (and all that technology): while we will have access to WiFi in most of the places we lay our heads at night, it's important to know that Myanmar is a decade (or two) behind in terms of internet access. So don't worry if you can't share that epic selfie right away. What if I get sick of hanging out with you and the group? Can I go off on my own? Will there be free time? Yes! While we'll have activities planned for many of the days, I've baked plenty of "free time" right into our itinerary so you can explore on your own after you've gotten your feet wet. Go off on your own adventure, or ask for some ideas and we'll make sure to send you on the right path. - All accommodation in Myanmar for the duration of the tour (12 nights). - Airport pickup when you arrive in Yangon, and to get you back to the airport on the final day to fly out. - Most meals are included – every breakfast, and either lunch or dinner every day. - Entrance fees to sites, museums, parks, and more. - All forms of transport necessary to complete our itinerary. - Personal assistance and travel guidance from myself and my team of Myanmar guides. - Assistance for obtaining your Myanmar tourist visa (it's pretty easy). - And of course, all of the unplanned magic you can expect visiting The Golden Land with an expert with more than a dozen trips to the country in the past 5 years. - Airfares to and from Yangon are not included, but we will assist you with booking your flight if you require assistance. You will need to arrive on (or before) the starting date. - Travel insurance is not included, and is mandatory. We require proof of insurance. - Some meals – when you’re out doing things on your own, you pay for it. - Drinks. Be it freshly squeezed juice, Myanmar beer, or a glass of Myanmar vino... those are on you. - Any fees or charges that you incur as a result of you canceling this trip once you have made a booking with us, we are not responsible for – including any charges your airline or transport provider charges you. - If you arrive on a different day from the start of the tour, you will need to pay for an airport pickup. - If you arrive early or depart late, you will be liable for all expenses. - You will need to sign a waiver releasing us from any self-imposed craziness that you get up to. - You are responsible for obtaining any travel visas you may require – but of course, we will assist if you need. - Did we mention, you need to have travel insurance? It's important. - For those who wish to arrive early or stay longer in Myanmar, we would be more than happy to assist with some ideas and plans. - Travel can be unpredictable. Things may change. I like to freestyle it a bit. So, some of the itinerary may be subject to change. In the unlikely event that any major changes are required, we will discuss and keep you in the loop at all times. Our goal is to make any changes for the best. In the unlikely event that the tour is cancelled by us, you will always receive a full 100% refund – unless the trip cancellation is due to a “force majeure” event – something beyond our control (such as a natural disaster). However – we will always strive to provide you a full refund – we will go to all lengths to protect my stellar reputation. What if I have paid, and then I change my mind. Can I get a refund? - If you cancel, $500 USD of any ticket price is non-refundable. - If you cancel within 75 days of the tour start date, you will lose 100% of your ticket price (this is due to the difficulties in finding a replacement for you at such short notice). - If you cancel between 75 and 100 days before the tour start date you will lose 50% of your ticket price. BUT – we will always do the right thing, so, if we fill your seat after you cancel, we will refund at least 80% of your full ticket price. Get in touch! Contact me via email. Alternatively we can hop on the phone and chat (in fact, I encourage it). Drop me a line for my phone number or my skype. Yangon Life. Maybe you'll just have to hop on your own trishaw to see what the fuss is all about.